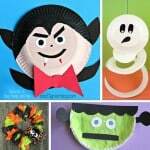 We have a wonderful printable Halloween treat for you, are you ready to have your hands embellished with these spookalicious printable Halloween monsters paper rings? We sure are! 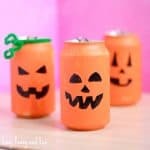 These are great to use at home or classroom Halloween party or just for the fun of it. 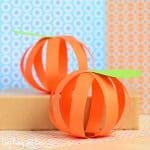 We love all things Halloween! 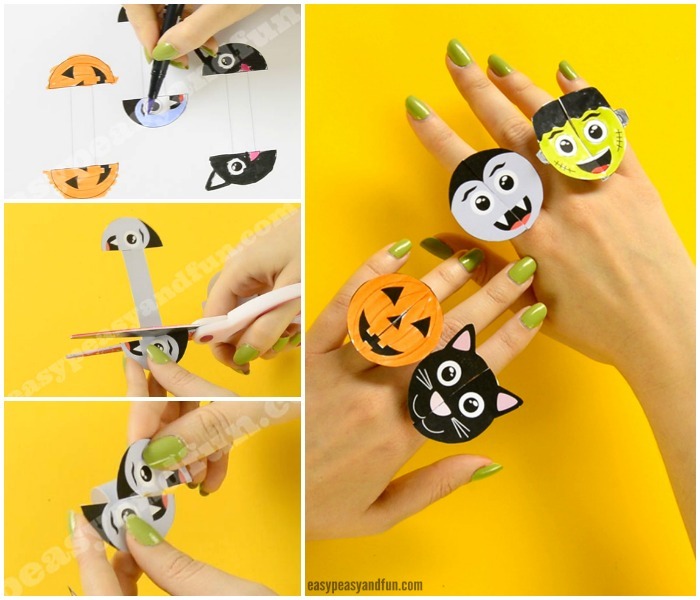 If you do too, and are in a need of a wonderful Halloween activity to do with your kids, print out these spookalicious rings and make them together with your kids. 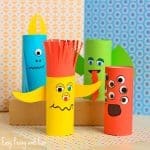 They come in different sizes so the whole family can enjoy this activity together. There is a pre-colored set of rings that we naturally love and there is a black and white version we love even more! We hope your kids will use the black and white version and color it in to make their printable monster rings super special. Print out the whole set and let the fun begin. 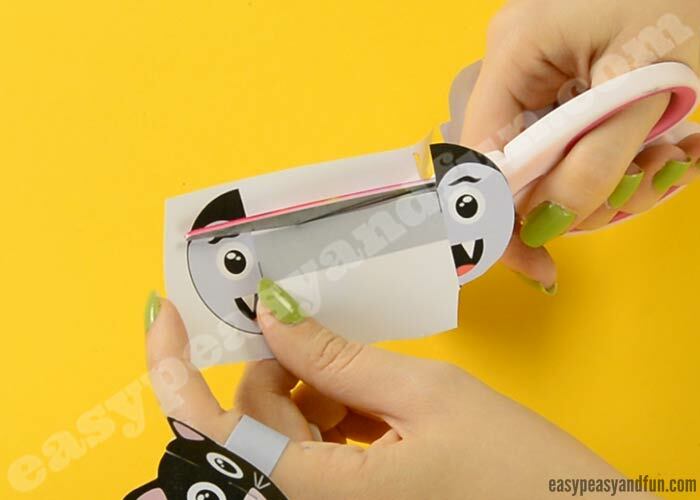 Such a cool Halloween paper toy to play with! 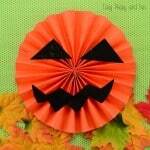 A Jack o’Lantern – you can’t really have a Halloween set without a scary looking pumpkin. Blood sucking Vampire or count Dracula – this one will have his eyes on your veins at all time. Black Cat Ring – just because cats rock! Frankenstein’s monster – rocking the scars! 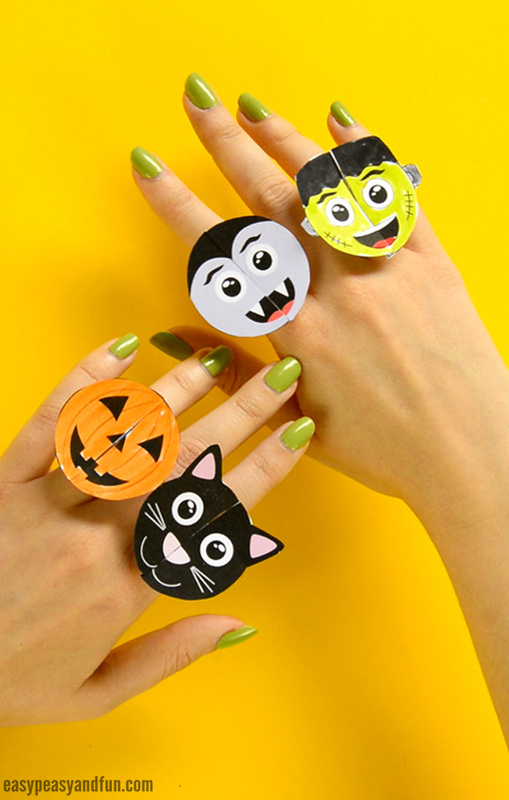 Print out our Halloween monster paper rings templates – all of them or just the ones you need ;). 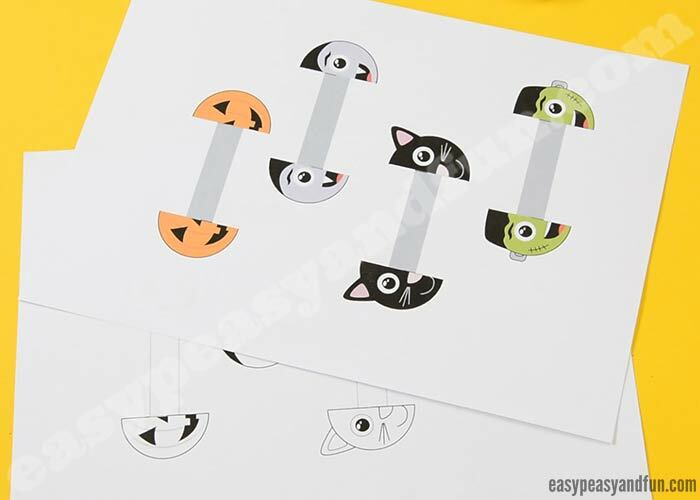 We printed ours on heavier print paper (120 gsm) but regular print paper will work out nice for this Halloween project. 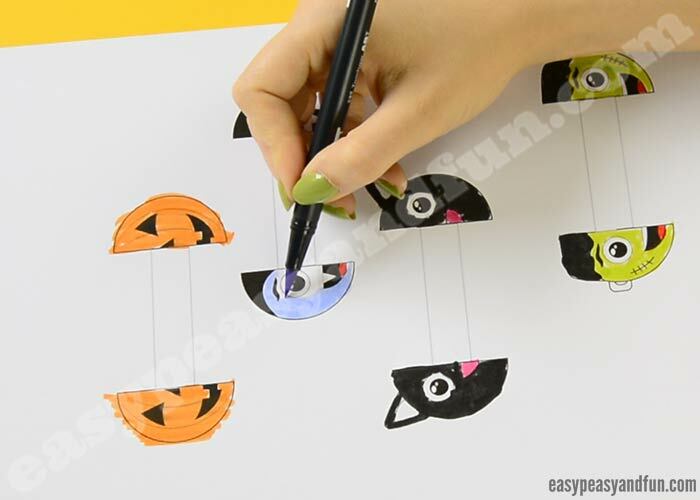 If you print our black and white template it’s best to color the Halloween rings before cutting them out. We colored ours with markers as we do love the nice and vivid colors markers make. 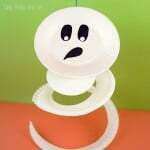 Once the rings are colored in (or if you printed the pre-colored rings), cut out the rings. To make the rings you have to cut halfway at the end of the “gray” ring strip on each end of the strip – on the opposite sides (the gray area is only gray in the pre-colored version). Now to assemble the rings. 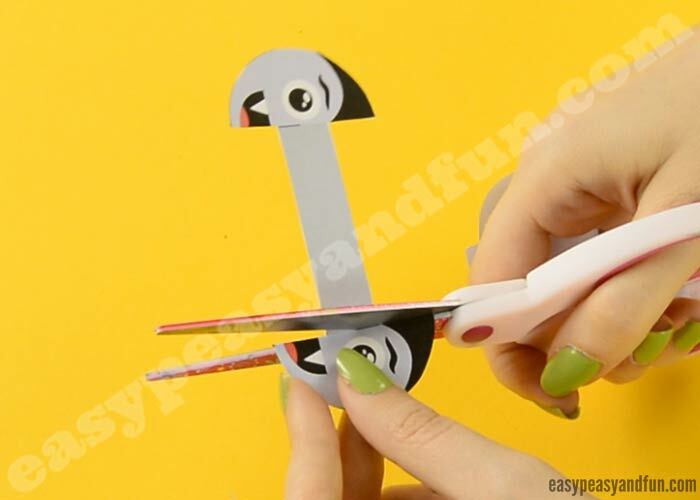 Make a loop and slide the slits you made to the paper in the previous step one into another. If the image on the ring, once assembled, isn’t aligned un-loop the ring and cut into the slits again to make them longer. 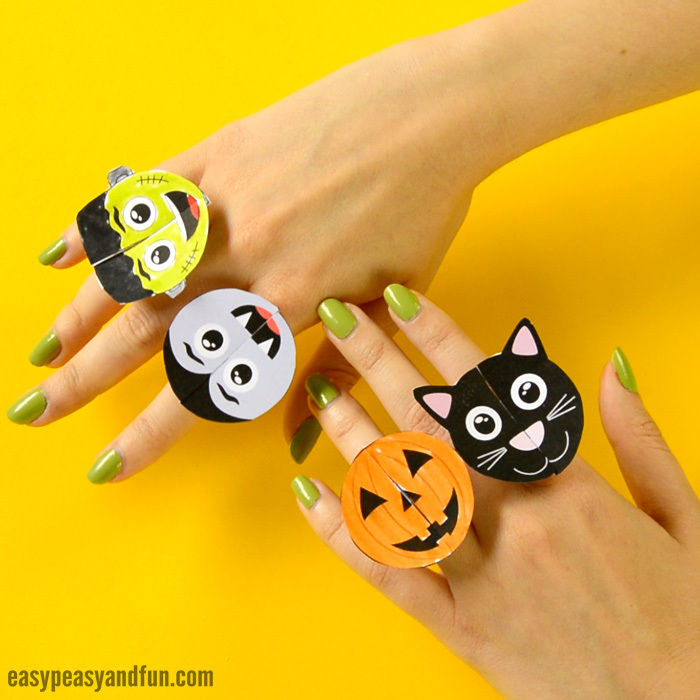 The spookalicious Halloween monster paper rings are ready to be worn on your hands! I LOVE these! Thanks so much for this post. You have fantastic ideas.